2. What are the drawbacks with buying cheap pet insurance for cats? 4. I have a rescue cat. Can I still get pet insurance? 5. I have a pedigree cat. Is it true this makes pet insurance more expensive? 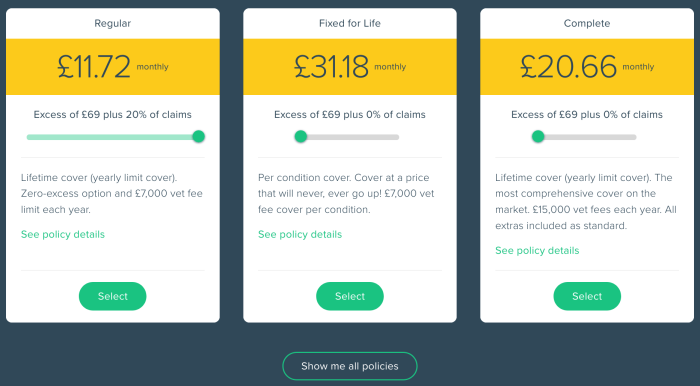 Cost shouldn't be the only factor in your decision about what pet insurance is right for your cat; but there's no getting away from the fact that it is a major consideration for many UK cat owners. If you have a dog, compare cheap pet insurance quotes for dogs or see our list of some of the best cheap pet insurance policies for dogs. If your dog is older, see our list of the 9 pet insurance companies that offer cheap pet insurance for older dogs. These quotes are all based on buying pet insurance for a 3-year old female mixed breed cat (or moggy), in a Milton Keynes postcode. We researched these quotes online in November 2018. What are the drawbacks with buying cheap pet insurance for cats? Two of the three cheapest pet insurance policies available for cats - from Animal Friends and Purely Pets - are "Accident Only". This means that they only pay out if your cat needs vet treatment because of an accident, and won't cover the costs of vet bills for illnesses and medical conditions. It's for this reason that Defaqto rated them 1 out of 5 and 2 out 5 respectively when conducting its independent review of cat insurance policies. Direct Line's Essential, will pay out if your cat needs to go to the vet because of a medical condition. However, the amount you can claim is capped at £4,000 per year. You have the choice between £80 or £160 excess per claim. Meanwhile, More Than - Basic scores 3 out 5. They are slightly more expensive, but they do provide higher levels of cover for cats than the cheaper alternatives. If you'd like to find out more about the cream of cat insurance policies, why not read our article Best Pet Insurance for Cats? Can I get cheap pet insurance for cats with no excess? As of December 2018, the only pet insurance policy on the market that we are aware of that comes with a no-excess option is our Regular policy. A quote for a two-year-old female cat living in Milton Keynes was £10.02 per month with a 0 excess and £6.97 with an excess of £69 plus a co-payment of 20%. (This quote was obtained on December 17, 2018). Bear in mind that pet insurance with no excess may not be as cheap as the cheapest policies on the market - eg accident-only policies. Buying a policy with a higher excess will usually make your monthly premiums lower. Bought By Many's 15% multi-pet discount is the biggest multi-pet insurance discount on the market. 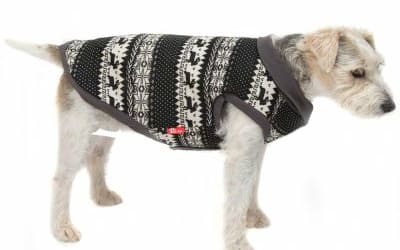 Value comes with £3,000 of vet fee cover and is a time-limited policy. 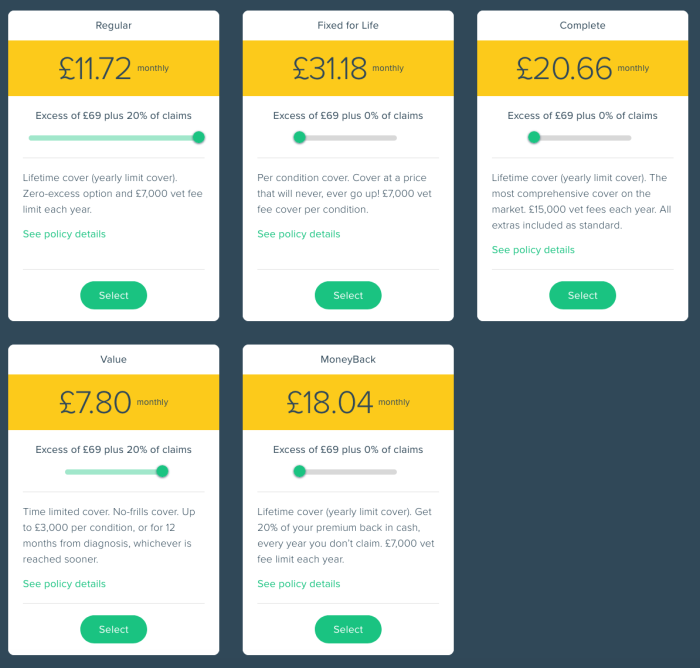 This means that if you claim for a condition within the first 12 months of the policy, you will not be able to claim for it again when the policy renews. The same two cats on our Regular policy would cost £11.72 per month to insure with an excess of £69 and 20% co-payment. I have a rescue cat. Can I still get pet insurance? Yes, absolutely. There is a small complication in applying for pet insurance if you have recently rescued a cat, which is that most pet insurance companies require you to give the cat's date of birth when you are getting a pet insurance quote. Often, a rescue cat's date of birth is unknown. The best way to tackle this is to ask your vet to estimate your cat's age and date of birth. Most pet insurance companies will accept this. If you have a rescue cat, you can join our Pet Insurance for Rescue Cats group. We've used the buying power of rescue cat owners to agree cheaper pet insurance from More Than. I have a pedigree cat. Is it true this makes pet insurance more expensive? Yes. The reason for this is that the breeding process makes pedigree cats susceptible to hereditary medical conditions, which can result in a need for vet treatment. As a result, pedigree cat owners are more likely to make claims on their pet insurance, and this pushes the costs up. Pedigree cats also tend to be more financially valuable, which can also lead to more expensive pet insurance claims if they pass away or are stolen. We have been helping owners of pedigree cats use their combined power to negotiated discounts on insurance. Have a look at our Cat Insurance for Cat Breeds group for more details about the offers on pet insurance that we've been able to negotiate.